Need some help with Boxhead: The Zombie Wars? 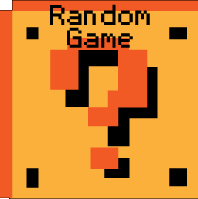 Check out these cheats, hints, tips and walkthroughs. New info is added regularly. Play Boxhead: The Zombie Wars now! Find more Crazy Monkey Game Hints and Tips. The zombies are coming - and there are a lot of them! Can you survive? 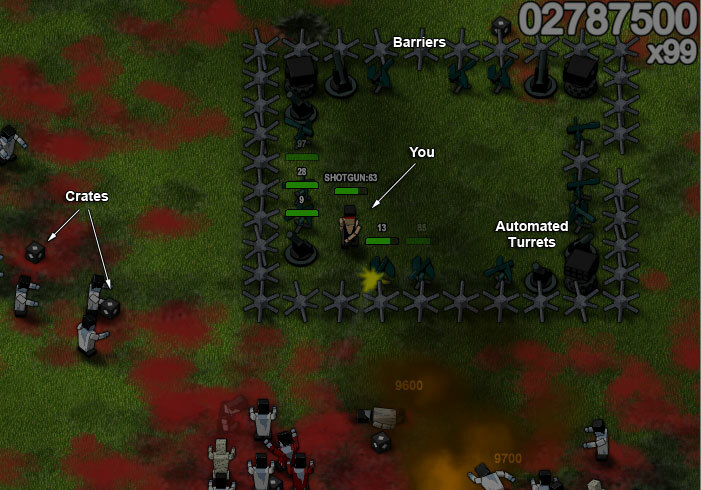 Don't worry, you have a ton of awesome weapons and turrets to help fight off the undead horde! Boxhead: The Zombie Wars is another in the popular Boxhead games. It brings a ton of new enemies and weapons to the game, as well as the ability to set up obstacles and turrets to help you fight off the zombies. Arrow Keys - Control the movement of your character. Z,X - Cycle through available weapons. 1..10 - Select a weapon. You can set your own control keys using the option on the level selection screen. Before each wave of zombies attack, you will have some time to set your defenses. Barrels, turrets and barricades are essential to survival. Once they attack, use your weapons to slaughter some zombies! The faster they die, the higher your multiplier in the upper right hand corner of the screen - which gives you access to upgraded and better weapons! The multiplier is also the key to higher scores - since it multiplies the points you get for every zombie you kill. The multiplier goes up to 999! Turrets and barricades are absolutely essential to survival - learn to use them well. There are a variety of different zombies, learn their weakness and abilities. Try to keep that multiplier as high as possible, both for higher scores and for better weapons!